A bridge is an alternative way of filling spaces in your mouth, where implants or dentures are not suitable or desired. A bridge is fixed in place, unlike dentures, and use the teeth adjacent to the space as anchors. They can be constructed of porcelain, and sit against the gum so that they look as natural as possible. Missing teeth can affect the aesthetics of your smile, how you eat and even your confidence. They can also affect your other teeth and how they function, and your speech. 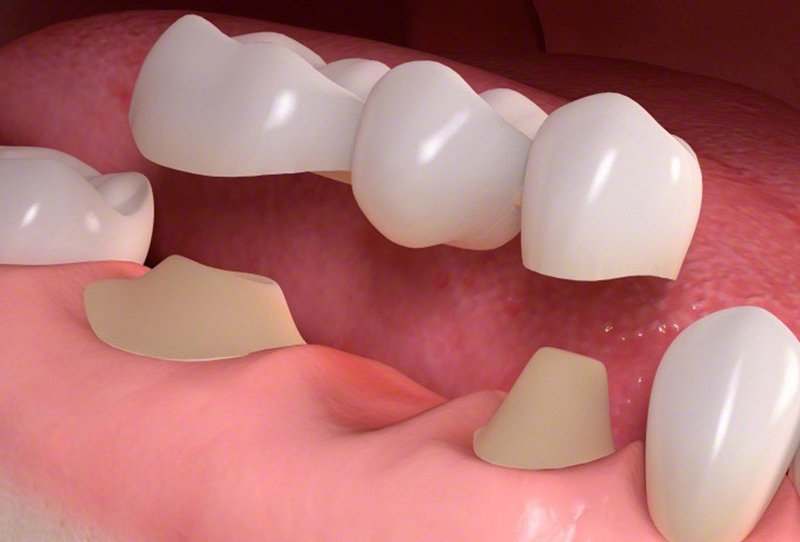 Like crowns, bridges can be made of metal-porcelain or all porcelain depending on the position in your mouth, and your aesthetic and functional needs. We will always endeavour to recommend the most appropriate for you.